I have no intention of sitting here and telling you how to run your wedding day. In fact, as a wedding photographer I do my very best to not interfere with the day at all. My aim is to capture the real emotions, what really happened. Having said that, if we don’t spare a little thought for group photos and portraits in the timeline then they can easily fall into disarray. 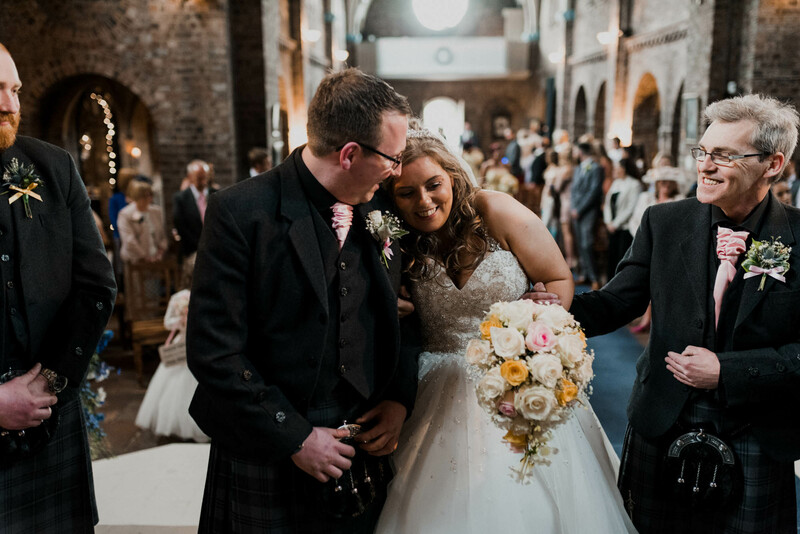 Naturally the most important factor when it comes to planning the wedding day timeline is making sure you have sufficient time to allow everything to flow neatly throughout the day. You timeline will also, to a certain extent, be dictated by your venues. Wedding celebrants usually officiate several weddings per day so they will give you a time slot at which you are to be married. From that point there should be a natural flow of events. What I am hoping to help you with here is weaving the photo sessions into that flow. 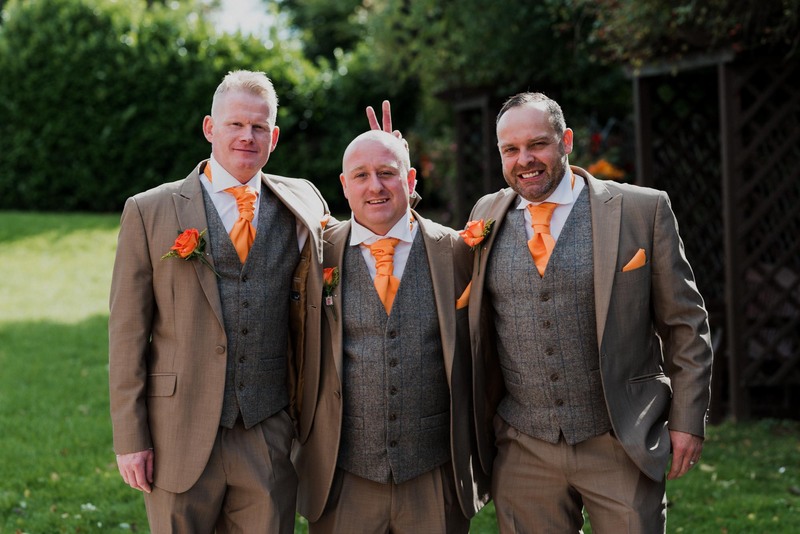 There are a number of factors at play when it comes to planning group photos. 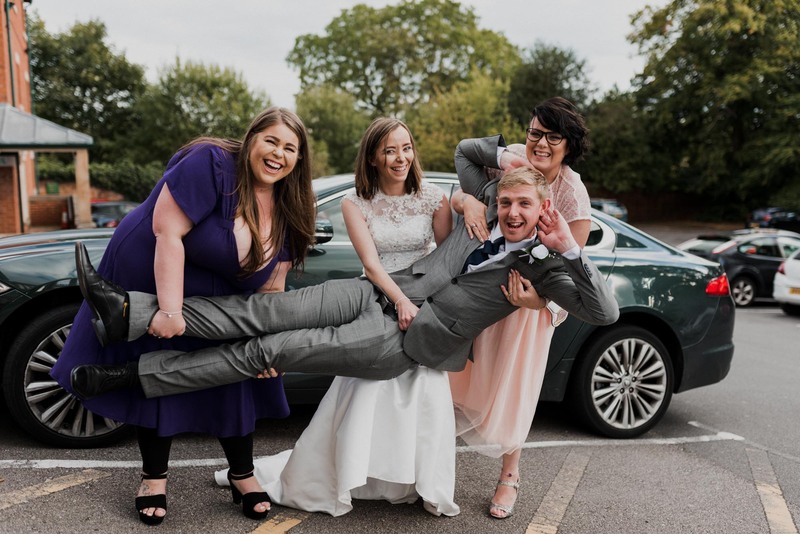 I covered a number of these already in my article Tips for Getting Your Wedding Group Photos Done Quickly Without Missing Anyone. Firstly, I would recommend thinking about where you are going to hold the group photos. 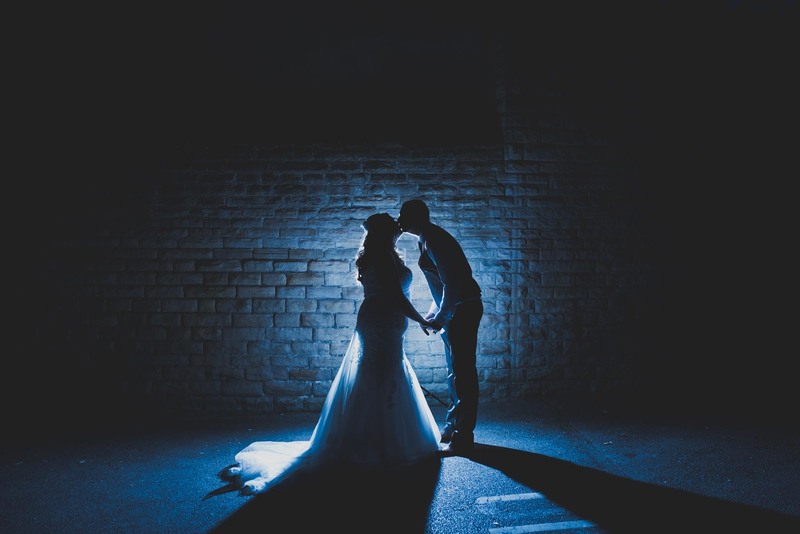 If your wedding day is split across multiple venues, put a little thought into which of the venues would provide the best setting for the photos. 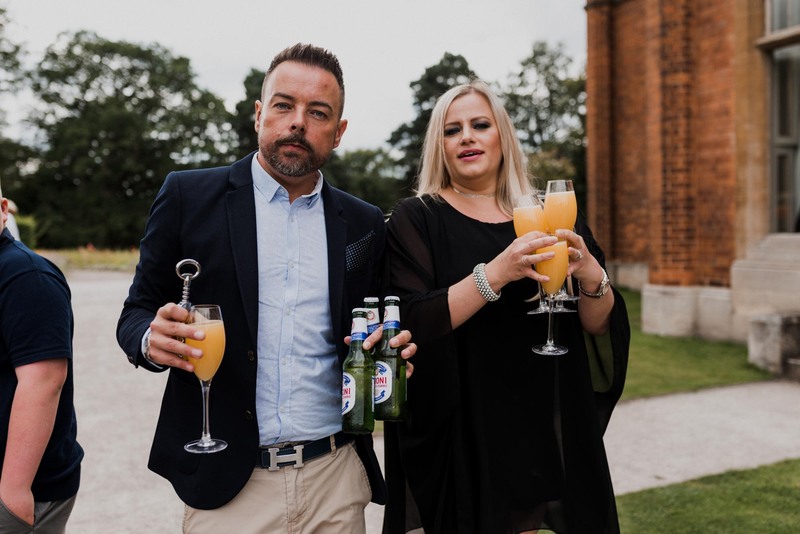 For example, if your reception venue is a hotel with no grounds, perhaps consider planning for the photos to be taken at the ceremony location before everyone leaves. Making this decision will help determine when your photos should be taken. If your entire wedding day is in a single location then you have a little more flexibility. In my experience people will not be particularly thankful of you trying to organise group photos immediately after the ceremony. This is their first opportunity to see you as a married couple and pass on their congratulations. And maybe grab a quick drink from the bar. Many will also be in need of a comfort break, having spent the last hour or so sat down. My advice would be to leave at least half an hour after the ceremony for what the Americans would call a Cocktail Hour. The best time is probably before the dinner. People will have had chance to settle, and should still be looking their best. If you wait until after dinner you run the risk of gravy stains. Plus a few of your guests will have enjoyed a little of the table wine and might be in an overly playful mood if you leave it too late. The Golden Hour is the time before the sun sets where the sun starts to give off a beautiful golden glow. This is the ideal time for evening portraits as the light is very flattering and gives the photos a magical glow. What time the golden hour falls is different throughout the year and in different locations. 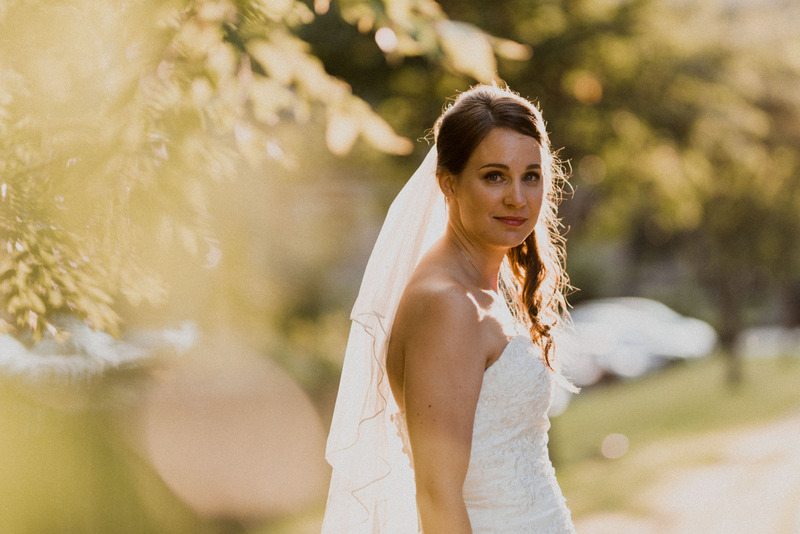 One of the first things I do when I am planning my own version of someone’s wedding day timeline is to find out their golden hour. 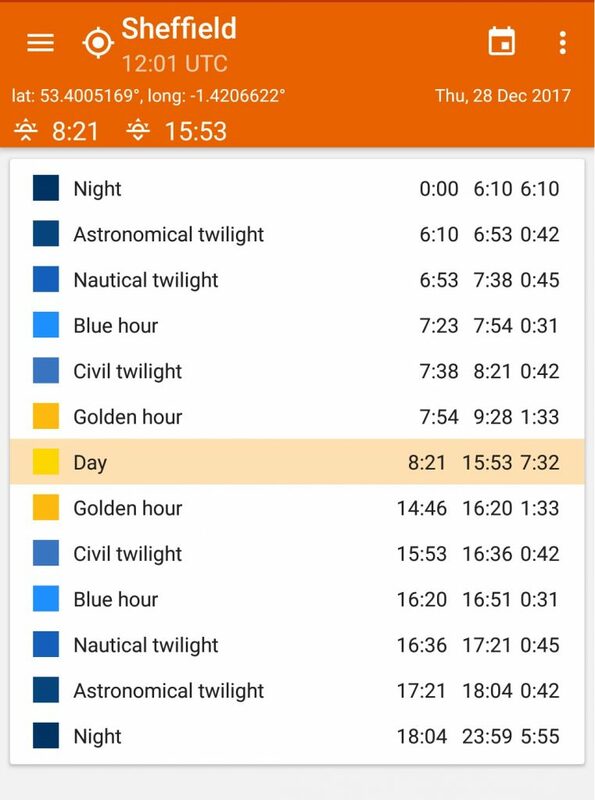 I use an app called Golden Hour (Android version is here, I’m not sure what the Apple equivalent is) to work this out. The app lets me input the date and location and then gives me my target time. As you can see there are actually two golden hours in a day. For the portraits we are more concerned with the one in the evening. 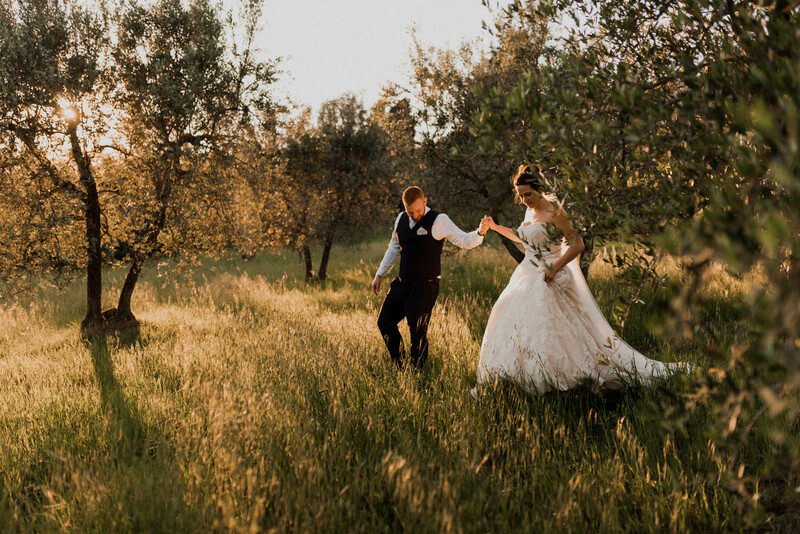 My suggestion here is to try to plan your evening reception around the golden hour. Try to allow about 30 minutes within that time slot for photos. 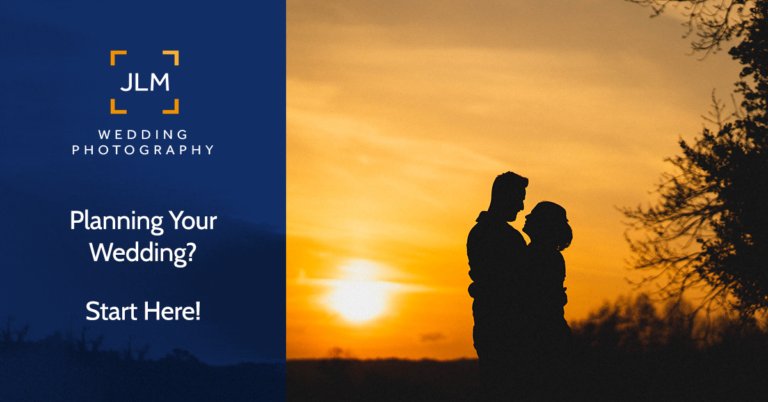 Keep in mind that if your venue is surrounded by trees or is particularly hilly the sun may disappear earlier than expected, so try to plan your photos a tiny bit earlier. 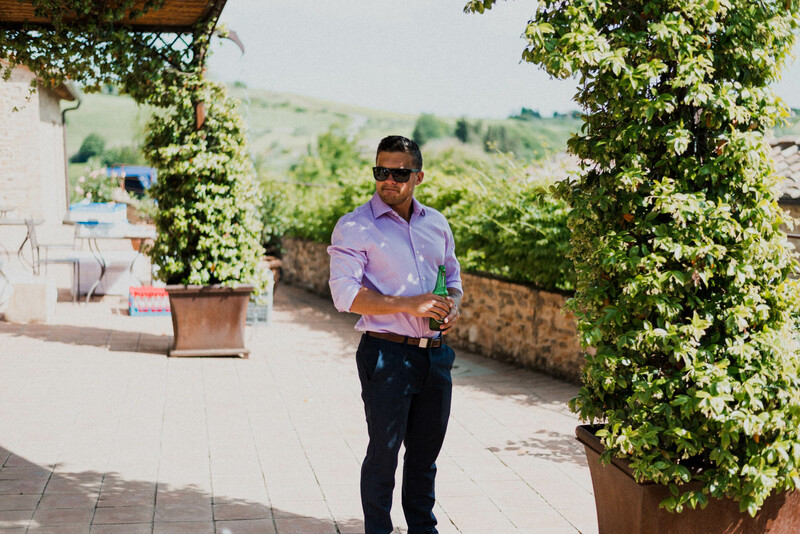 When I was shooting a wedding in Italy I was fortunate enough to have been invited to a pizza party at the very same venue the night before the wedding day. The wedding guests all came together for the party, and since I was staying locally I was invited to attend. This offered me a particularly unusual opportunity to observe exactly where the sun would be and when. 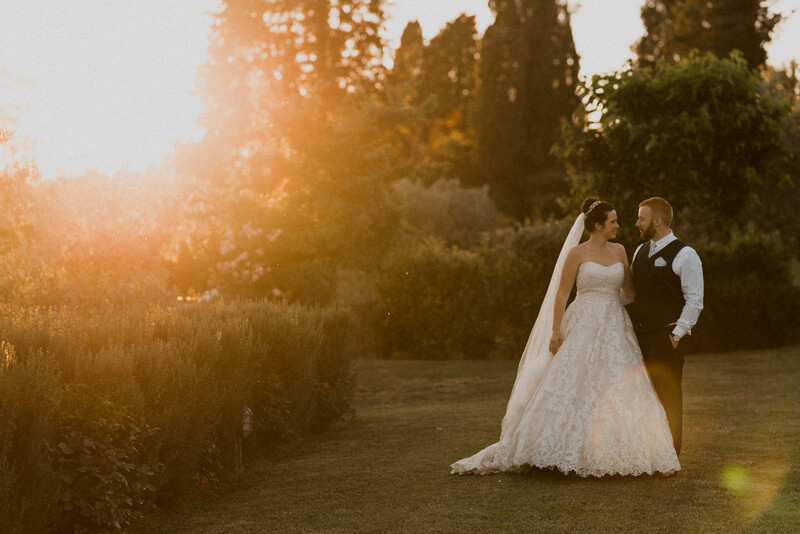 I learned that the sun would set around 8ish and dropped beautifully over the unkempt grassy area behind the villa. I also learned that the golden hour would actually only last an alarmingly short ten minutes. Naturally when I shared my findings with the bride and groom we discovered that the golden 10 minutes would be right in the middle of dinner. As it happened, they trusted me enough to be willing to leave the dinner table between their main course and desert to get these photos. They followed me out of the beautifully landscaped gardens and into what was effectively a wasteland to get these photos. Fortunately they came out better than I had hoped. Mother Nature can be our strongest ally as well as our greatest nemesis. On an idea wedding day the sun will be behind the clouds throughout the day, thus creating a perfectly even light over everything. Then in the evening, just before sunset the clouds will break and the golden sun will shine through the grass and the trees. Whatever will be will be and on your wedding day all you can do is plan for the worst and hope for the best. Going back to my original point at the start of this article, your photographer should be able to cope, whatever the situation. We can even go out and do the portraits in the dark if we have to. 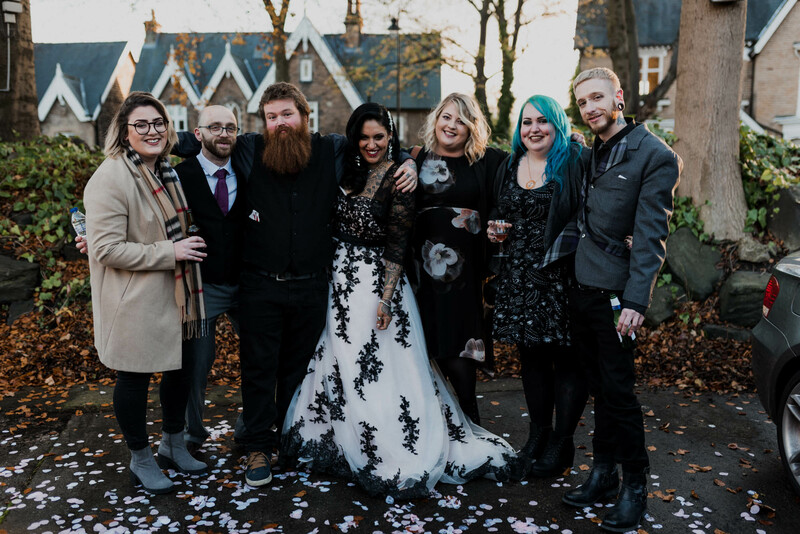 So that’s my little bit of advice about organising your wedding day timeline to give you the best chance of great portraits and group photos. If you are looking for a photographer for your wedding give me a shout, let’s find out if I am available on your day.